We must start by writing down what we want, how much it will cost, and how long it will take you to achieve your goal. When you have a clear, well-thought-out plan, it is so much easier to achieve success because you hold all the answers. You know how much you will need to save, how to cut expenses, and when you will achieve it. One way to prevent yourself from losing sight of your goal is to take a picture of it and hang it somewhere in your home, where you will see it every day. This will help keep your focus throughout the process of building your savings. If you read "Congratulations, You've Graduated College. So Now What?” which you can access here, you will have learned how to build a detailed budget. 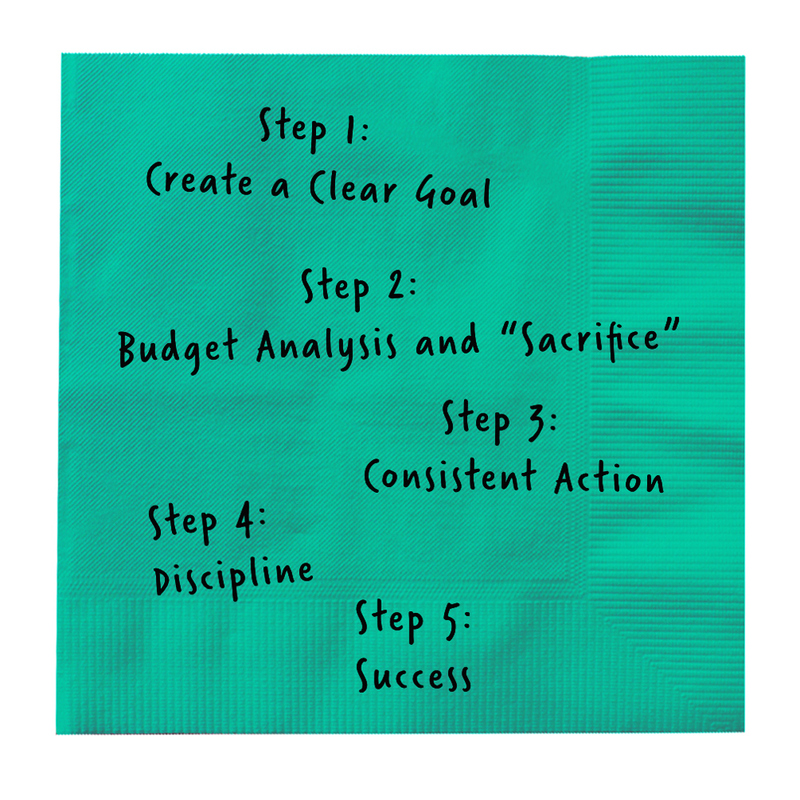 Analyzing your budget and identifying where cuts can be made, will be your starting point. The best area to make cuts, in my opinion, is in the “Your Wants” section of your budget. This is where money is spent on things like travel, clothing, restaurants, bars, and luxury items are. Let’s use a simple example. You want to buy a new TV that costs $500, and you allow yourself 6 months to save for it. You have identified three categories in your budget (restaurants, bars, and clothing), for which you can reduce your monthly spending. Currently, you spend $100 per month on each category. In total, over the next 6 months, you will pay $1,800 for the three categories. Thus the math is simple; we need reduce spending by 27% which is $83.33 per month. We have several ways to achieve this, including; 1) cut spending on all categories by $27.78 per month, 2) cut one category for five months, and or 3) alternating between removing categories each month. You can customize your savings breakout however you like, these were just three options. I recommend you find the solution which best fits your needs, by reducing the impact on you. The best way to consistently save money to is to remove yourself from the process entirely. One way to achieve this, is to set up daily, weekly or monthly automatic transfers by withdrawing monies from your checking account, and sending it to your savings account. Most major banks will allow you to do this for free. This way you can consistently save money, and you will only need to focus on spending less. Now instead of a $500 TV, you now want to a save $50,000 for a down payment on a home. You give yourself 7 years to save, and you begin to strategize on how you will achieve this goal. In addition to setting up daily, weekly or monthly automatic transfers to your savings account, I would recommend setting up an automatic electronic transfer from your bank account into a brokerage account, and invest the monies how you see fit. Depending on your risk tolerance you can invest in safer securities, like U.S. Treasury or Municipal Bonds, or more risky securities like stocks and option trading. Whatever you choose, it’s vital to understand the products you buy and how to invest, which we will discuss in a later post. The last step before reaching success is maintaining discipline. You need to stay focused on your goal and how you are going to achieve it. If you have followed step’s 1 – 3 correctly, it may and probably will be difficult. But I promise, you will get there and you very proud of what you accomplished. Yay, we made it! You now have $500 for your TV, but before you buy that TV, check for sales and if possible, wait for Black Friday or Cyber Monday. Another possibility is you no longer want the TV. After saving consistently for 6 months, you realize just how difficult it is to save, and you decide to keep the TV you have for a little longer. I find this happens to me often, but it very important to reward ourselves for a job well done. So go ahead and get whatever it is you want in life. Just stick to the plan, and you will get there. Please leave comments and questions below.